For most people, birthdays are a day to celebrate the fact that you've made it through another year. For children, it's a day to celebrate by getting lots of presents and being one year closer to that magical day when you get to drive a car. While most people celebrate a birthday with a party, the most important thing is to make sure one finds fun things to do on a birthday. Throwing a party is the traditional way to celebrate a birthday. You can make your party extra special by including a theme. Hold a Hawaiian luau, complete with barbecued pork, tiki torches and grass skirts. Or, you can rent out a local amusement center and place bets as to which adult will win the go-cart races. You can also plan a birthday party where you pass out green visors to your guests and hold a high-stakes poker party. Usually other people give you gifts for your birthday, but often those gifts are not quite what you wanted or expected. Why not buy yourself something you really want? 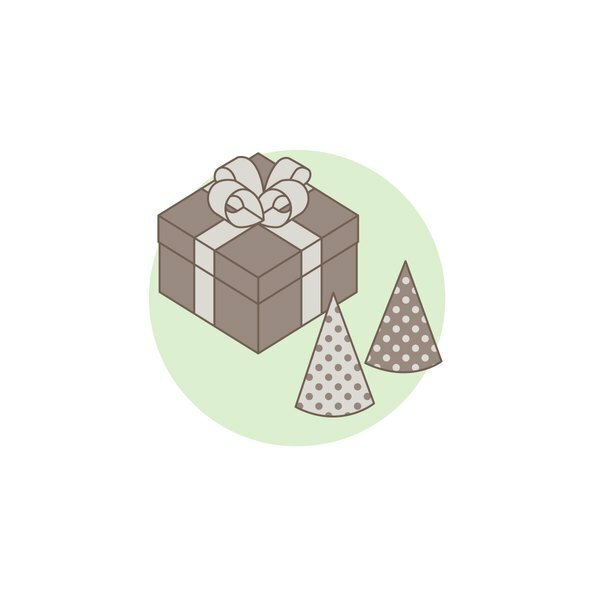 Use the money you receive in birthday cards, or ask family members to send you gift cards to your favorite store. Chances are, your relatives will be relieved to not have to pick out something for you, and you will end up with the perfect gift you've always wanted. This year, instead of a party, why not get away for the weekend on your birthday? Take that party money and spend it on one night in a luxury hotel where you can get pampered at the hotel's spa. Alternately, put your foot down and make your family go visit that museum you've always wanted to see but your teenagers whined about. It's your birthday, so they have to do what you want to do. Enjoy! If you don't want a party and you don't want to buy yourself a gift. Do something outrageous that you've always wanted to do. After all, you only live once! Try bungee jumping or paragliding. Hike up a mountain, ride on a zip line or take a ride on that loopy roller coaster at the nearby amusement park. It will make you feel years younger and surely amount to many fun things to do on your birthday. What if My Husband Forgets My Birthday?